Eileen L. Brooks, assistant professor of economics, joined the UCSC faculty in 2001 after earning a Ph.D. in economics from Harvard University. A 1994 graduate of Massachusetts Institute of Technology, she earned an M. Litt. from Oxford University in international relations in 1996. During her time at UC Santa Cruz, she taught courses in international trade, international economics, and advanced quantitative methods. She was an affiliate of College Nine and a member of the Santa Cruz Institute for International Economics (SCCIE). Among her numerous honors, Eileen Brooks was a Rhodes Scholar in 1994–96 and held a Sumner Lichter Fellowship in 1997–98. 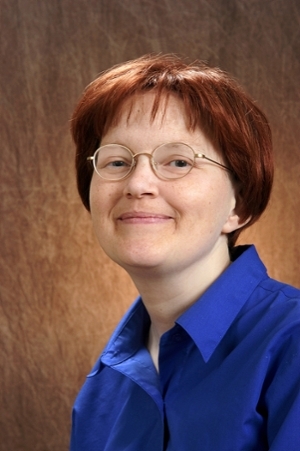 She received a National Science Foundation Graduate Research Fellowship in 1996–99 and was an EIIT Conference Graduate Student Competition Winner in 2000. In 2000–01, she received a Chiles Fellowship. As an undergraduate at MIT, she received the Robert Muh Award for outstanding undergraduate research and a Kawamura Visiting Fellowship in 1994. In addition to her academic work, she was a short-term policy consultant for the World Bank in 1997 and a neural networks intern for State Street Bank in 1998. Eileen Brooks passed away after a lengthy illness on February 1, 2006, at the age of 33. In her honor, the Eileen Brooks Memorial Fund was created by her campus colleagues, family, and friends, to support graduate students in economics by funding the Eileen Brooks Memorial Award. The Eileen Brooks Memorial Award is for third-year graduate students in the Department of Economics, with preference given to individuals whose studies focus on international trade. The award is based on academic merit only, defined as a combination of performance in the sequence of coursework in international trade and performance on the international trade field exam. For more information about this award, please contact the graduate advisor in the Economics Department at (831) 459-4849 or visit the department’s website.